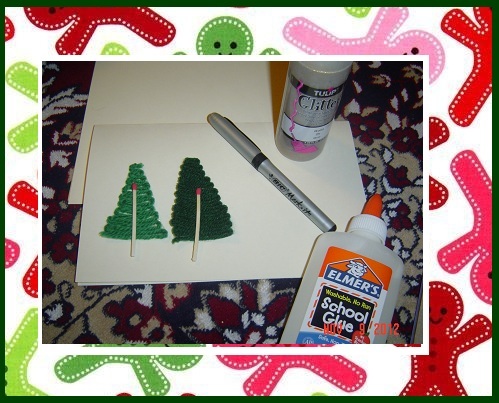 I am posting some very easy to make Christmas Cards that kids of all ages 1 and up can make(parent help always appreciated and mostly needed here). They incorporate the scribbles of my just turned three year old and some shredded papers that she tore of course. I just had to be creative to use them the right way. 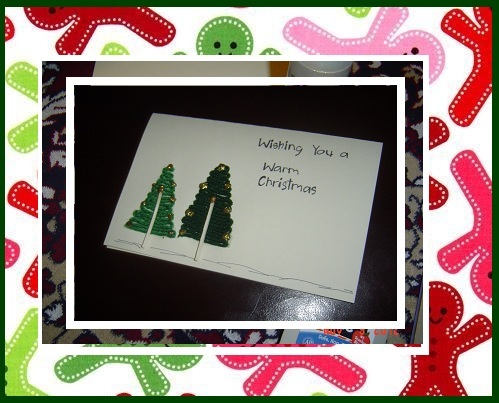 I hope you can make some cute Christmas cards too using your toddlers scribbles! 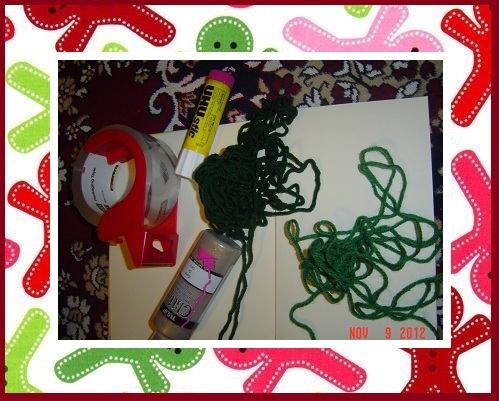 Lets start with my seventh super easy Christmas card. 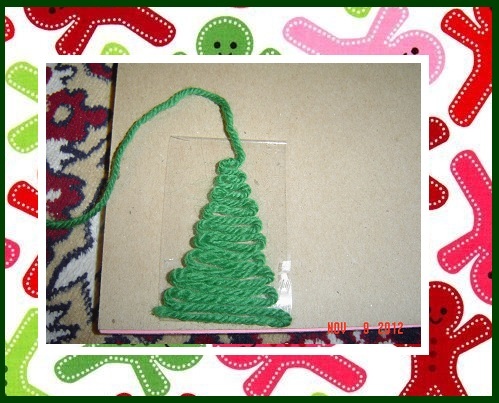 Start by sticking scotch tape and then sticking yarn on it to form Christmas tree. Make as many trees you like. Make stem with matchstick. Decorate with glitters. Our Christmas card is ready!